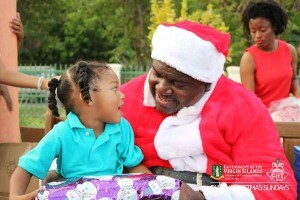 Santa Claus made his appearance at the final “Family Christmas Sundays” on Sunday, December 18. The event was hosted by the Ministry of Communications and Works at the Queen Elizabeth II Park. Children had their photographs taken, and submitted their many wishes to be fulfilled by Santa, who in return gave each child an early Christmas present.